Make the little birdie your baby's sipping partner! Luvlap Birdie Sipper comes with an endearing bird design that will instantly catch your baby's intrigue. With detachable anti-slip handles and flip lid, this cute sipper is perfect for your 12 months plus baby. This sipper comes with a non-spill and leak proof technology which prevents any unwanted spilling resulting in a mess. The flip lid keeps the straw hygienic and convenient to use. Explore the entire range of Feeding and Nursing available on Nykaa. 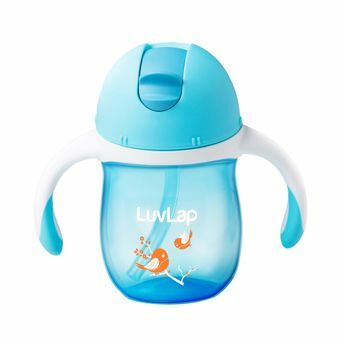 Shop more LuvLap products here.You can browse through the complete world of LuvLap Feeding and Nursing .Alternatively, you can also find many more products from the LuvLap Birdie Sipper Blue range.